Iran on Tuesday threatened to restart its contested nuclear program in violation of last summer’s international agreement if the United States and other countries fail to move forward with a massive sanctions relief program aimed at bolstering the Iranian economy, according to comments by a top Iranian leader. Alaeddin Boroujerdi, chair of the Iranian parliament’s national security and foreign policy commission, warned that the Islamic Republic would "resume large-scale uranium enrichment" if leaders feel the international community is not doing enough for Iran under the nuclear deal. 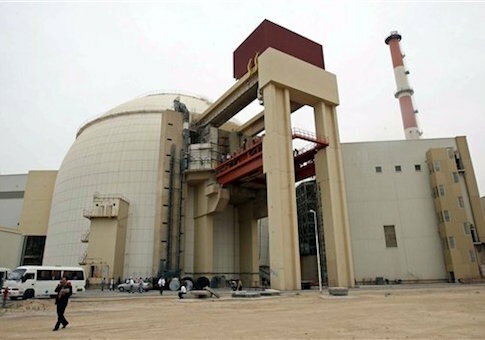 "The Islamic Republic of Iran's response to the other side's non-compliance with the implementation of the nuclear deal will be uranium enrichment," Boroujerdi was quoted as saying in Iran’s state-controlled press. The comments come on the heels of a similar warning issued by Iranian Supreme Leader Ali Khamenei earlier this month. Khamenei expressed outrage over comments by Republican leaders criticizing the Islamic Republic’s commitment to the deal. "We do not violate the [nuclear deal], but if the opposite party violates it and tears it apart as the U.S. presidential candidates state and threaten at present, then we will burn it," Khamanei was quoted as saying. Iran’s warning comes as the nuclear pact emerges as a key foreign policy issue in the U.S. presidential election. Republican frontrunner Donald Trump has expressed opposition to the deal and hinted that he would renegotiate the pact if elected president. This entry was posted in National Security and tagged Iran, Iran Nuclear Deal, Nuclear Weapons. Bookmark the permalink.